Daisy Chain cable 6" for TLN-LED-24 LED Task Light Daisy Chain cable for Under Cabinet mount task light unit. 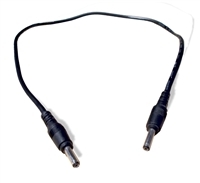 Daisy Chain cable 18" for TLN-LED-24 LED Task Light Daisy Chain cable for Under Cabinet mount task light unit. Power Adapter for TLN-LED-24 LED Task Light Power supply for Under Cabinet mount task light unit. 24-Inch Under-Cabinet Cubicle LED Task Light - Silver Finish Under Cabinet mount task light unit. Under Cabinet mount task light unit.